Large Glow in the dark Moon and Stars - spacekids - space toys, dressing up costumes, kids spacesuits, astronaut food, cool space stuff! Contains 1 larger sized glow moon, about 28cm from tip to tip and 12 assorted sized glow stars. 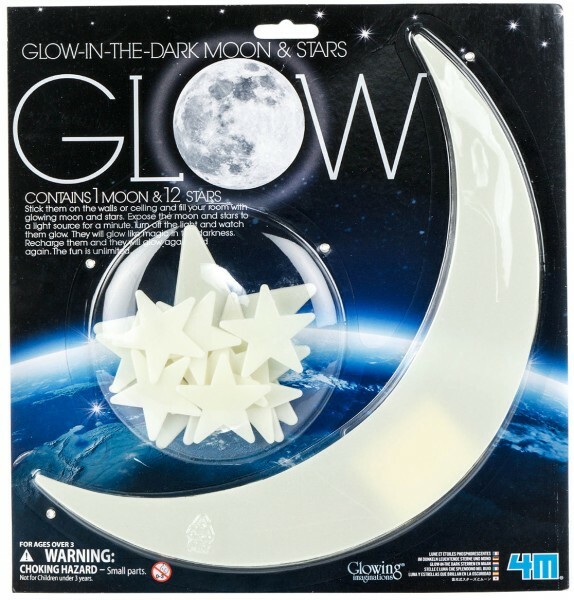 Stick them to surfaces, walls or ceilings using the sticky tape included and watch them glow brightly.